You can now access real-time information about your incoming calls to learn more about the caller – whether it’s a trustworthy friend or an annoying telemarketer. Once your phone rings the tellows will tell you the trustworthiness of the caller. 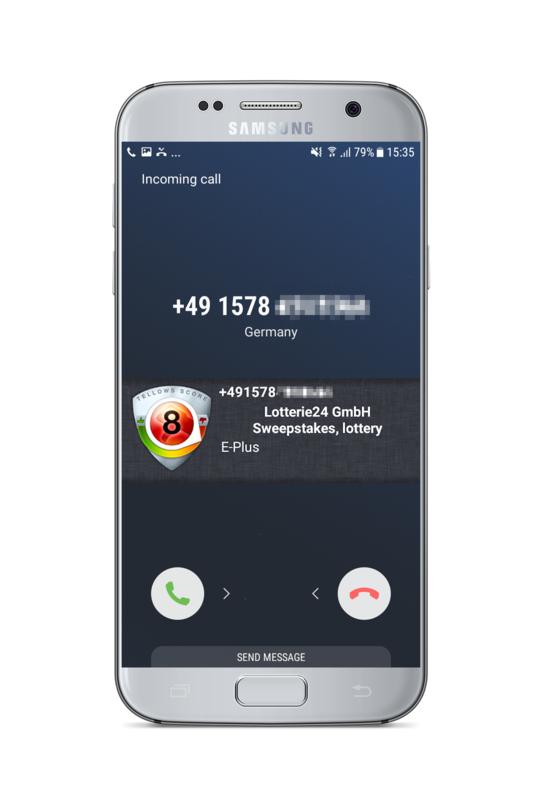 Share you experience about the number by commenting on the caller’s phone numbers, thus warning your fellows tellows users against probable dangers. The only requirement is of course, aside from internet access, an Android Smartphone or an iPhone. This entry was posted in App suggestion, General and tagged android app, caller ID, caller identification, iPhone, iPhone App, telephone numbers, tellows app on Friday January 31st, 2014 by tellows.de Team. reap the benefits of your patience for our tellows app is finally available for Android users! Up to now the only way to look up numbers was to open our webpage, meaning, looking the calling number up was only possible after the call. 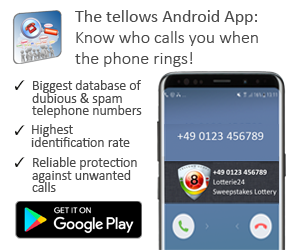 Thanks to our new tellows Android app you will discern the trustworthieness of the incoming call on the first ring of your phone. The tellows Score provides the means to decide whether to answer the phone or deny the call. 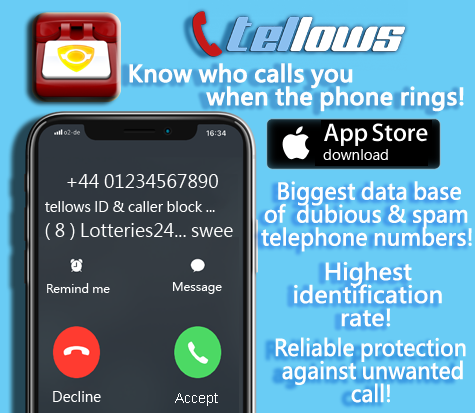 Update (2018): The tellows app can now also block unwanted spam calls! This entry was posted in App Support and tagged android, android app, call protection, caller identification, nuisance calls, tellows android app, tellows app, tellows.co.uk, tellows.com on Monday January 13th, 2014 by tellows.de Team.